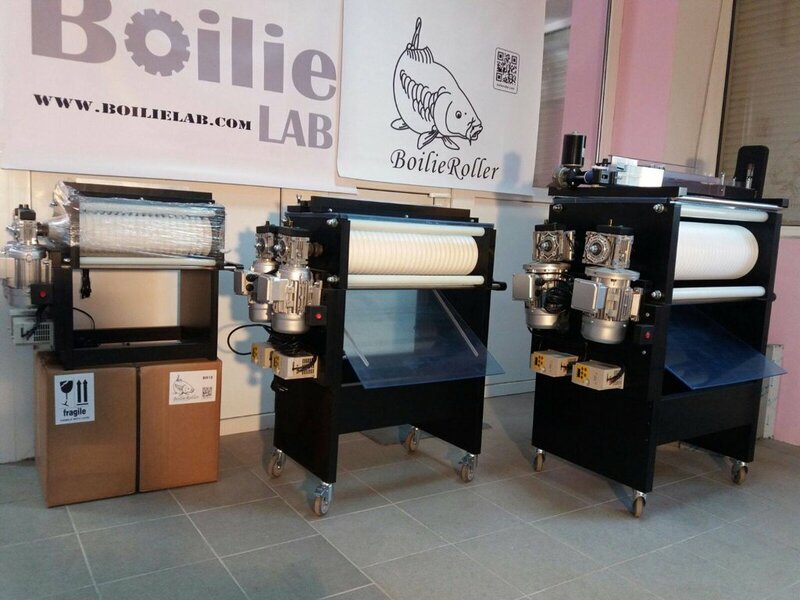 Till 31.12.2017 you can purchase Boilie lab 20mm machine with fixed gear motor for only 1150 euro + shipping so don't let this deal to slip away as you will have savings over 300 euro. Happy Christmas and new 2018 year. Our new machines Boilie lab ADVANCE, Boilie lab PRO and Boilie lab EXPERT officially launched to the market aswell as our new belt conveyor and wire cutting system automated cutting unit. PRO and EXPERT machines available under Food roller name for human grade products usage, and for food roller machines 2 types of cutting units available. So here you can compare our 3 brand new machines size comparison. Those are 2 roller type machines all have same roller block exchange system (it align roller block automatically for correct position) , rolls alignment system, motor block remove option (with self centering positioning) so you always set it back as it was, double sided output desk with seperators, and of course each motor have speed regulation possibility. Our new type of frequency inverters have torque boost technology so now we can achieve big torque powers using lower wattage motors and it will ends with less energy consumption . Machines design and rolls innovative exchange system are patented . We updated our docking stations with fixed speed models , so now if you want to make more than one size of boilies you can Exchange modules efortlessly without screwing cutting unit and motor each time on module as both of them already fixed to docking station and all what you need to do is just push in module and you are ready to go with your desirable size. Remember that you need to buy docking station only one time and later on you just buy needed size module (module means rolls in casing with gear box). So we maded some really good improovments for some products what are using frequency inverters (Docking stations, regulated gear motor and Boilie lab PRO machine) and as a result of upgrades we maded much longer lasting products with bigger torque (power), but this upgrade lift up a price by 100 euro (200 euro for pro machine as it uses 2 of those), but be sure, this is worth of extra cost . 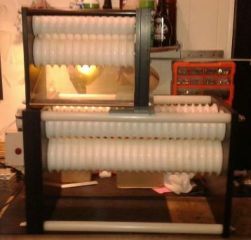 We finished work on our budget class machine Boilie lab DUO. This machine have 2 sizes in one machine (15mm and 20mm) it can roll boilies dumbells and pillows. Each roll speed can be adjusted to have possibility to roll many kind of mixes and achieve really good roundness. 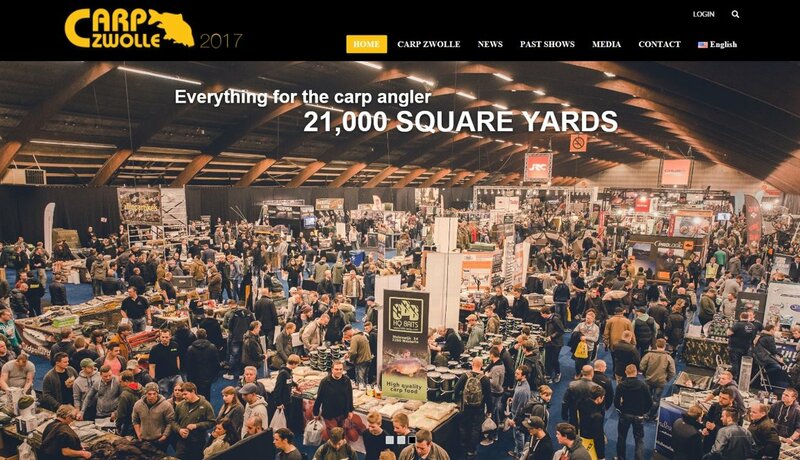 Those machines have same metal gearing inside as Boilie lab and Boilie lab Bigfoot. This machine is for private use, not for bait companies and in tests it showed that it can roll really good roundness boil...ies with speed of 20-30 kg per hour. Those machines will not have cutting unit and it meant to be operated via 1,5 kg bait gun (as it is light and handy) and conveyor. In pictures you can see result of roundness and we tested many kind of mixes. In tests we easily made 15 kg in 30 min without cutting unit and with all boiling. 19th & 20th March 2016, FIVE Farnborough. 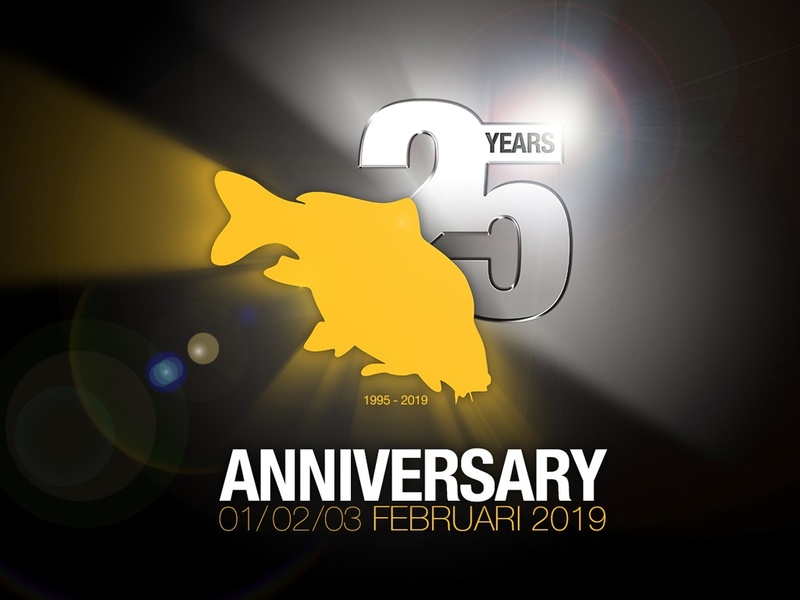 We launched our beast machine Boilie lab Pro, this machine can roll and compress boilies in high speeds with superb roundness ( thank`s to its new radius pattern), by default machine can make boilies dumbels and pillows , you can exchange roller block and roll other size boilies or for example some special shape boilies like butterflies, worms and etc. We launched new gear motor with motor speed control unit, so now you can regulate speed of rolls for Boilie lab , Boilie lab Bigfoot and Boilieroller machines. Kit consist of 3 phase gear motor (more torque if matching with single phase 220v version), YASKAWA frequency inverter and all assembled in easy to use and accessible box. We mooving on and start to work on rollers for human food industry. Those Machines consist of 2 roller system and are with different radius pattern to roll chocolate balls, candies, meat balls and etc. 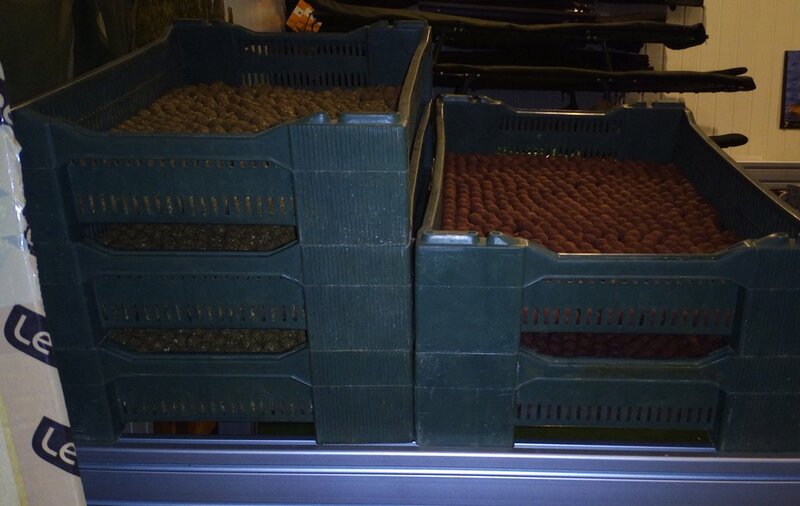 Aviable sizes for balls will be from 10mm and up to 80mm , depending on client request.